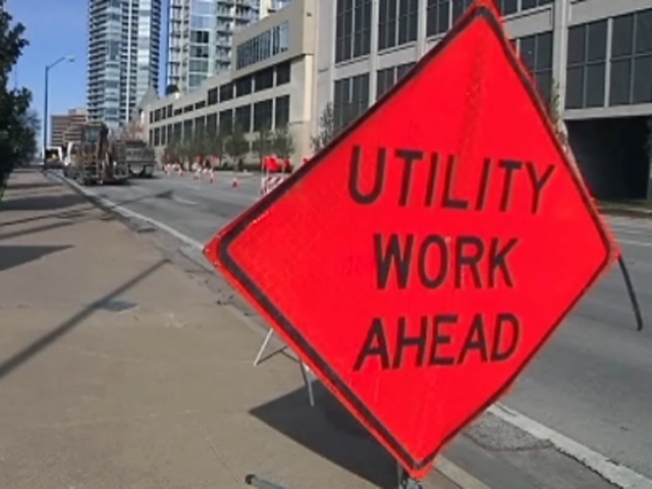 Dallas utility workers had responded to at least two dozen water line breaks, twice the normal number, as of Friday afternoon. More than two thirds of the city’s water pipes are cast iron, and water department officials say many of those cast iron pipes are very old. “Cold weather can have impact on the water temperature, which in turn has an impact on cast iron pipeline,” said Randy Payton, of Dallas Water Utilities. One break flooded a home and several yards in the 11900 block of Hoblitzelle Drive near U.S. 75 and Interstate 635. 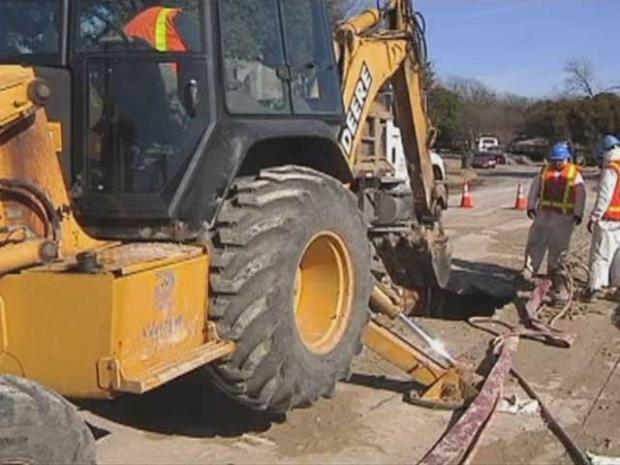 Crews across North Texas have been working around the clock to fix water main breaks. Resident Shay Johnson said the water flooded her car in the front yard and then came into her garage and living room. Payton could not explain the delay. “It typically takes Dallas Water 30 minutes to one hour to respond to the location," he said. "There are circumstances such as traffic that can play a role with that." Water main breaks in freezing weather cause dangerous conditions as the leak spills through a neighborhood. A break in the 2800 block of McKinnon blocked Uptown Dallas traffic for hours Friday during repairs and left many side streets icy.